Wrinkles. Small, mischievous and ugly marks on our face. What to do in order to make them go away? For example, we can fight them back and this combat is not so difficult to win. 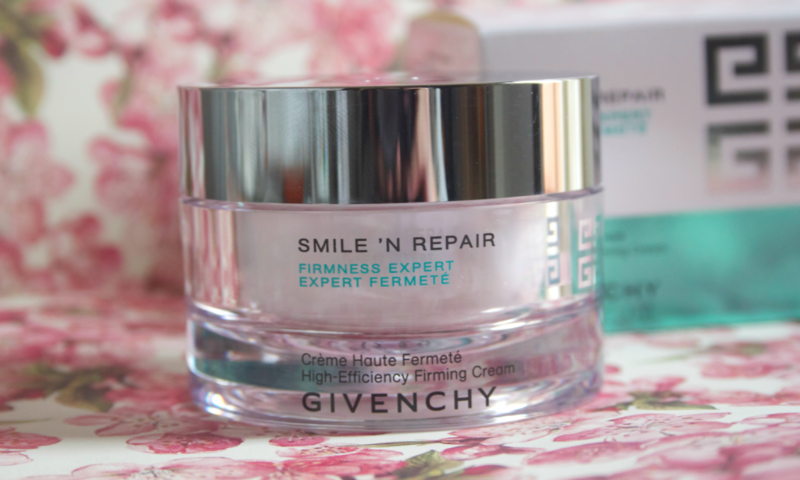 Our companion can be Smile’n Repair, Intensive Wrinkle Correction Serum by Givenchy. See for yourself, how the cosmetic works and how it should be applied. Anti-wrinkle, under eye cream Givenchy Smile’n Repair, Intensive Wrinkle Correction Serum is recommended for mature skin care that has: first signs of aging, visible skin imperfections around eyes, dropping eyelids and that is deprived of radiance and highly fatigued. Its main mission is to smooth expression wrinkles located in the outer corners of the eyes (so-called crow’s feet), highlight dark skin under eyes and eliminate sagging. Working of the cream is enhanced due to moisturizing and oxygenating substances that are responsible for restoring firmness and softening to skin. Additionally, Givenchy Smile’n Repair highlights skin around eyes, eliminates signs of skin fatigue and brings back energy to one’s look. The series of anti-wrinkle cosmetics Smile’n Repair contains also other products that take care of mature skin and aid the beneficial action of the under eye cream. And these are: a serum which contains intensively working plant substances, as well as a cream with SPF 15 which prevents skinburns, discolourations and winkles. What is the manner of Smile’n Repair, Intensive Wrinkle Correction Serum by Givenchy use? First of all, you have to precisely cleanse face skin, focusing mainly on around eye skin area (including eyelids). It is highly possible for the residues of makeup to block penetration of nourishing substance deep into dermis. After that, small amount of the cosmetic has to be patted using circular motions, giving a massage to skin under eyes and above the crease area. In this way, we will provide our skin with mini massage – blood circulation of skin cells will be stimulated, which will result in skin being more frim and elastic, swelling swill disappear as dropping eyelids will be lifted up (eyes will look as if they were bigger).